2xGMPR Fritz MH X GMPR Diva Puppies are here! 5 Chocolate Males Available! If you are in the market for an exceptional chocolate pointing lab puppy then your search stops here. 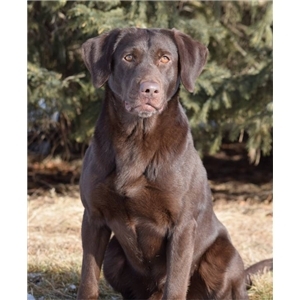 This breeding has all the makings to be one of the best chocolate pointing lab litters you will see anywhere. Diva is a dog that everyone wants to own. She is a lifetime house dog with limitless drive in the field. 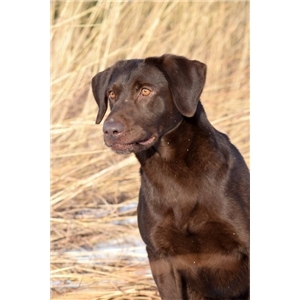 She is one of the most complete dogs we have here at Coteau View Kennels. 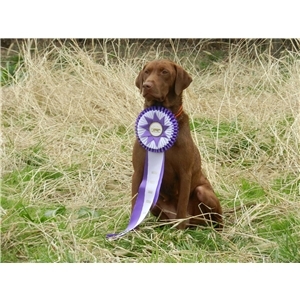 Diva has reached the pinnacle of the American Pointing Labrador Association hunt test venue by attaining her GMPR. There are not many chocolate females that have accomplished this feat but I am glad to say we own one of the few in the country. Diva has produced exceptional puppies time and time again. Many off her offspring are running at the highest level of field trail and hunt tests all around the country. Fritz is a dog that is making waves in the hunt test game. He is a young up and comer that has his 2X GMPR title with the APLA and his Master Hunter title in the AKC venue. He went 7 for 7 to acquire his MH title which speaks volumes in this day and age. Fritz has all the looks and style to produce one of the best hunting partners you have ever owned. The fact that Fritz is chocolate just adds to the hype of this young stud. Forget about color for a second, this dog is known for so much more than the color of his coat. 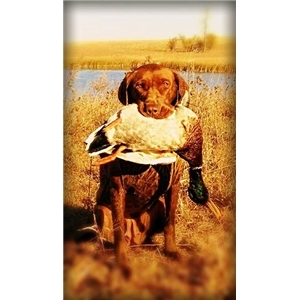 It is a true privilege to watch Fritz do his thing in the upland and the duck blind. This breeding will produce a very well rounded litter that will be able to do anything you want them to. If family life is important to you then have no fear in getting one of these puppies. Both parents are very laid back companions until it is go time. 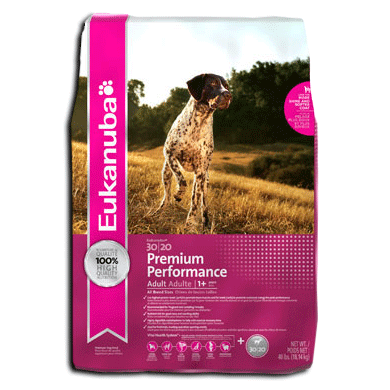 This litter is guaranteed to be unaffected by EIC CNM PRA RD/OSD HNPK DM AND SD2. All puppies come with a 26 month health guarantee as well as a microchip. If you would like more information on this exceptional litter or to reserve your next hunting companion please contact Bryan @ 605-395-7788.